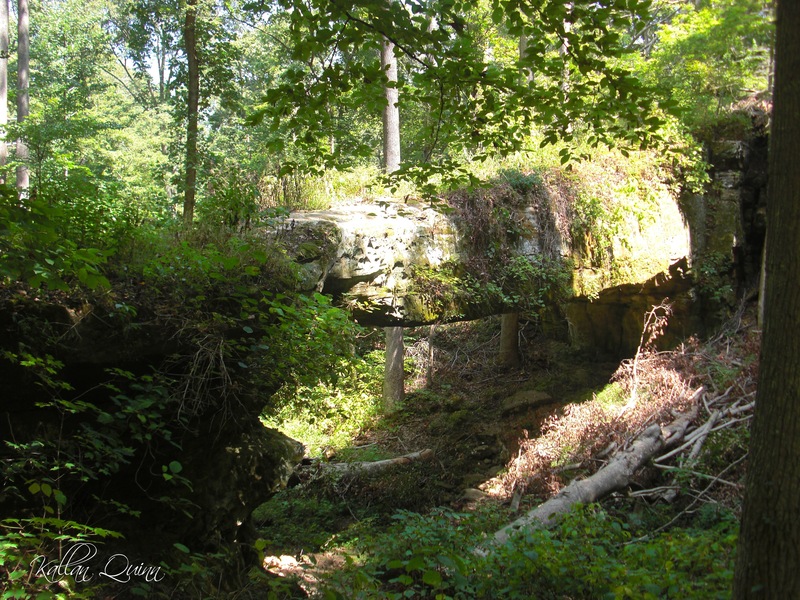 Near Pomona, Illinois, down a long and dusty road, is a hidden natural bridge. Located not too far from Little Grand Canyon, this is a short hike for all ages. 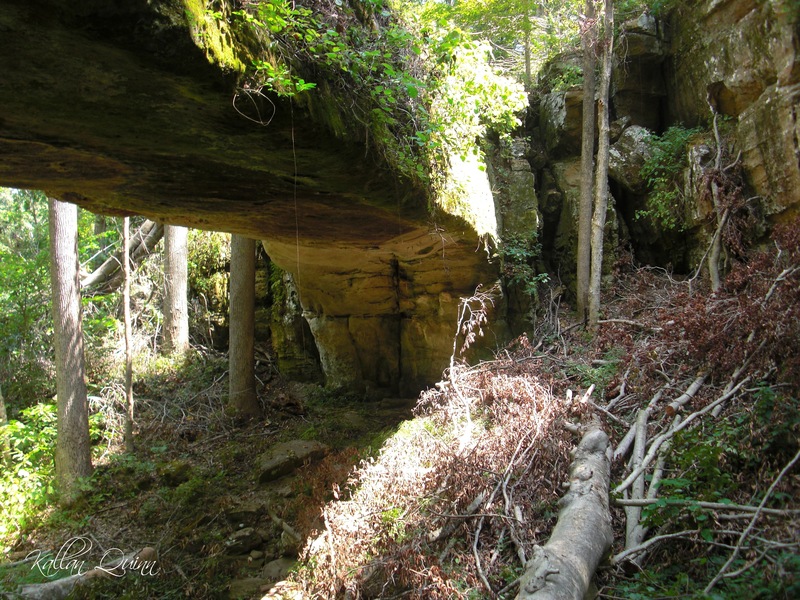 The loop trail is about 1/3 mile long and you can even walk on top of the natural bridge. If is kind of difficult to get some good pictures of the natural bridge, but here are a couple. The bridge is approximately 90 feet long and 8 feet wide at its widest point. The Pomona Natural Bridge is a rewarding hike that is quick and easy. Be sure to add this hike to other hiking in the area as it will only take about 30 minutes to complete. Check out a TRAIL MAP.